Mercedes Benz is a brand notorious for their luxurious vehicles and investment in all things pertaining to fine living. 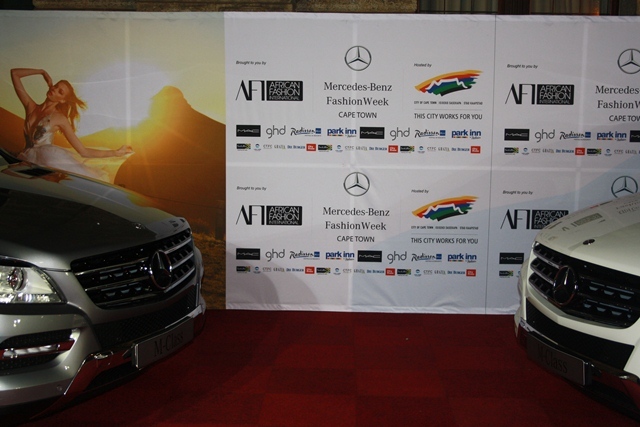 2012 marks the year that they’ve teamed up with thee African Fashion International (AFI) to bring you the first official “Mercedes Benz Fashion Week: Cape Town”, following 10 years of previous excellence with other sponsors. The event was from the 25th-28th of July 2012. The theme was “Icons” and pertained to all things iconic from cars, to style and luxury. Allana Finley, AFI’s Global Brand Manager, stated that: “With the anticipated reunion of established and celebrated designers, along with the entry of upcoming designers, this year promises to unveil an abundance of extraordinary and revolutionary fashion.” AFI and Mercedes Benz delivered their promises of grandeur in their signature classy way. I had the honor of attending this sought-after event which was held at the formidable Cape Town City Hall. As expected, the throng moving in and out of the numerous venues in and around the Cape Town International Convention Centre (CTICC) was littered with respected politicians, world-renowned celebrities, talented designers, striking models, formidable magazine editors and the journalists who write about them. The entrée to Mercedes Benz Fashion Week Cape Town (or #MBFWCT on twitter) was the Spring/Summer 2012 collection by Rosenwerth who, due to her considerable years involved in the fashion industry, had become synonymous with femininity in her soft lines, which become evident in her haute couture, ball gown and bridal gowns and even her ready-to-wear items. Philosophy by Jenni Button was a flare-up of print and colour similar to those seen in the works of Carolina Herrera as Spring/Summer is elevated to a new level. Her creations contain aesthetics that many designers should strive to emulate in their collections that don’t seem quite wearable to those not brave enough to try. In the main hall of the City Hall, was an elevated stage where Kluk CGDT’s extravaganza began. The collection was dependant on the atmosphere the ballerina’s and orchestra provided. There was tumult enchantment in the opulent fabrics, exquisitely detailed and intricate cuts, as well as the rich and glossy colors used. The design duo cannot be respected more for the pure and unrestrained beauty they were able to capture in their clothing-no! Their works of wearable art. The next days that followed only escalated the levels of style that Mercedes Benz Fashion Week Cape Town had planned. Gavin Rajah is a designer who knows what woman wants. His bold gold and feminine line evokes the “girly girl” in most women as we sigh and wonder why everyday cannot be fairy-tale dress day. Flowers adorned the up style and an Alice-band of flowers was the model’s crowning glory. The Gavin Rajah collection for Spring/Summer 2013 outfits for the idyllic profile of the fashion house’s clients. The success of their Autumn/Winter collection, Spring/Summer 2013 is the lighter, playful but regal side, immaculately designed around lavish fabrics and superb finishes. I was somehow reminded of the vintage works of Versace and the modern royalty-like characters like Blair Waldorf (Leighton Meester) of the series “Gossip Girl”. Designers recognize the appeal of the old and new is vital towards constantly retaining ones clientele and acclaim. “Tart” is one of the freshest labels I’ve ever had the pleasure of seeing. I had never heard of it before but boy am I now in love with it. In winter, black is my staple color but when Spring/Summer comes, I live in rainbow-colour land. Tart Clothing’s Cari Stephenson mesmerized me with the versatility of her collection. Her T-shirts are a fashionable depiction of the archetypal proudly Capetonian outlook. Dax Martin took to heart the need for color coordination and highlighting the silhouette of a person’s body when creating the beachwear witnessed as the closing show of Cape Town Fashion Week. Tart had such an eclectic mix of vibrant oranges, turquoise and pinks. Spero Villioti’s show maintained a basic color scheme inspired from the union jack with red, blue and white. Sandy browns and foamy whites were also included in their “sailor and 50s iconic bombshell” themed resort wear. No one could have prepared me for Stefania Morland’s final piece in her show. 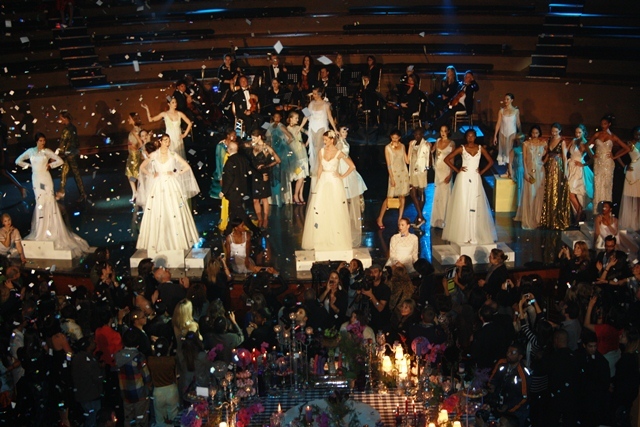 Whilst the other dresses were glamorous, the finale featured a Marie Antoinette theme. I witnessed the largest hairpiece I’ve ever laid eyes on atop a bubbly but regal-looking model and a floor-length dress so beautiful I’m tempted to crumble into a corner and weep with need. It was spectacular, bejeweled from the choker neck to the bodice and then falling somewhere amidst the pretty delicate and lovely dangerously high amounts of fabric. Hip Hop’s evening wear was teasing and carefree with its Goddess dresses whilst emerging designer Ruald Rheeder held his own alongside the established creative talents with his wearable creations. The men’s line was a mixture of textures and bold colors. South Africa’s most arduous and gifted designer David Tlale commented on his show in the Bo-Kaap’s Wale Street stating that: “The whole show was paying homage to my Colored heritage. My mother and my grandmother are Coloured.” People were watching from balconies and peering through fences to catch a glimpse of excellence. Tlale’s creative direction is very avant-garde. Models wore white apparel and had head scarves covering hair curlers in very stereotypically Colored culture. The collection contained skirts for both genders as well as other usual pieces to accompany the wear. I stand very firm in my belief that this year’s Fashion Week collections were truly inspired by 2011 and 2012s greatest Hollywood movie releases. Kluk CGDT, Hip Hop and Thula Sindi were examples of the costume designs in the blockbuster: “Snow White and the Huntsmen” starring South African born actress Charlize Theron. Fabiani and Adriaan Kuiters had elements from “The Great Gatsby” and the classic looks from American Icon James Dean. “Habits” latest collection was inspired by the film “The Artist” as one could see the dropped waist with the flapper style, lace gloves, nautical stripes and beading, headbands and dramatic yet sophisticated hats. Other designers and fashion houses that showcased at Mercedes Benz Fashion Week Cape Town 2012 include: Black Coal, Viyella Heritage, Craig Port, Lalesso, Leigh Schubert, Selfi, Strato, August, Non-European, Michelle Ludek and Ruff Tung. Pleats, bright neon colours and pastels are the undeniable themes for Spring/Summer 2012.